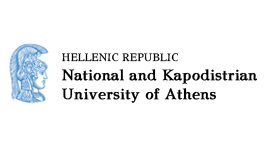 Research Coordinators: Kafka K.I., Kostis P.C., Valsamis D.G. Output: Petrakis P.E., Valsamis D.G., Kostis P.C. (2014) “Uncertainty Shocks in Eurozone Periphery Countries and Germany”, Cyprus Economic Policy Review, Vol.9, No. 2, p.p. 87-106. Output: Petrakis P.E., Papadakis E., Daniilopoulou N. (2012) “Public Statements on Sovereign Yield Spreads: the Greek Case”, Cyprus Economic Policy Review, Volume 6, Number 2, December. Research Coordinators: Daniilopoulou N., Kostis P.C., Papadakis E., Valsamis D.G. Organization and Academic responsibility of the N.K.U.A’s Printing Center, since 1998 (10.000.000 pages per year). Organization and Academic responsibility of the "Supplementary Education Program in Investment Evaluation and Financial Management", since 1998. Organization and academic responsibility of the “Business Relation Office” , 1999. Organization and Academic responsibility of the project "TICIM: Training Program for the Development of Techniques for the Dissemination of Production’s Innovations and the Creation of Job Profiles for Innovation Managers" within the frames of Leonardo da Vinci Program, 1999. Organization and Academic responsibility of the Program "Chaeronia – Development and Implementation of 46 School Libraries", 1999-2000. Vice President of the Education Programs for Life-Long Learning in the field of "Human Resources Management and Business Administration", 1999-2003. Scientific Director of the “Training Experience Program” of the University of Athens (30 Faculties, 3.500 students per year), 1997 - 2009. Scientific Director of the project “Evaluation of the School Libraries’ Work”, 2002-2003. Scientific Director of the project “Introduction of Entrepreneurship to Academic/ Tertiary Education”, 2003-2004, in cooperation with the Faculties of Economics, Philosophy and History of Science, Biology, Geology and Medicine. Scientific Director of the project “Development of Educational Material for the tuition of Entrepreneurship in Technical and Vocational Laboratories”, in cooperation with the Technical Institution of Crete and Larissa, 2003-2006. Director of the project “Digitalization of the N.K.U.A’s Museums”, in cooperation with the following Professors: Dermitzakis M., (Geology and Palaeontology Museum) and Labrinoudakis V., (Biblical-Archaeological Museum). Scientific Director of the project “Positive Actions in favor of Women”, 2005-2008. Scientific Director of the project “Virtual Enterprises’ Creation in Technical High Schools”, in corporation with the Sivitanidios School of Arts and Professions, 2005-2008. Scientific Director of the project “Supplementary Distance Learning” since 2001. Scientific Director of the project “Training Visits of Pupils in Technical High Schools”, in corporation with the Sivitanidios School of Arts and Professions, 2005-2008. Scientific Director of the project “Introduction of Entrepreneurship in Tertiary Education”, 2005-2008, in corporation with 10 faculties of the University of Athens.